leverage your processes with unrivaled and customized PDF compression techniques. Need smaller PDFs for ﬁle storage, ﬁle sharing or fast web view purposes? Use ORPALIS PDF Reducer to select either individual files or entire folders to minimize the size of your PDFs and images. Make web publishing of PDFs a snap allowing fast web view or just save time when sending them via internet. And get everything done really fast! A powerful PDF solution for your team. Managing documents is time consuming and is one of the biggest productivity killers in the workplace. 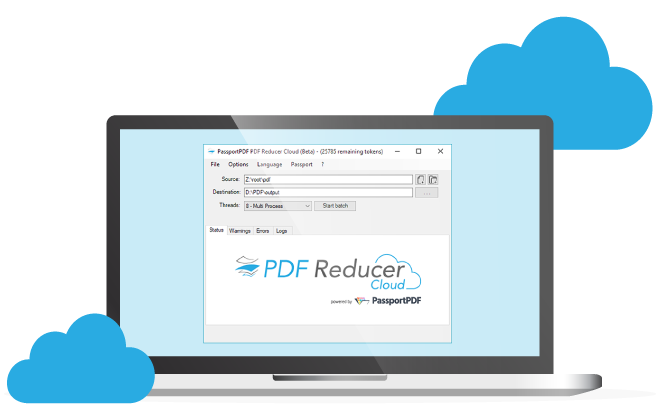 Don’t waste valuable time converting files, PDF Reducer On-Premises compresses and saves as PDF all your images too. The best software for everyday document management tasks. Reduce the size of those heavy PDF files, then store or send them easily.